CS-Cart Order Cancellation This magnificent extension gives customers privilege of cancelling their orders. The eligibility of order cancellation is based on product, price of order, time period and status of order. Here Admin just needs to assign simple conditions based on these scenarios to avail this feature to his/her customers. file, unzip and use it.After unzip you will get pdf file, read it carefully and follow it.Go to manage add-ons page. Browse and select the zip file, upload and install. After uploading the zip file, click on “Manage” to configure the add-on as shown below in the snapshot. 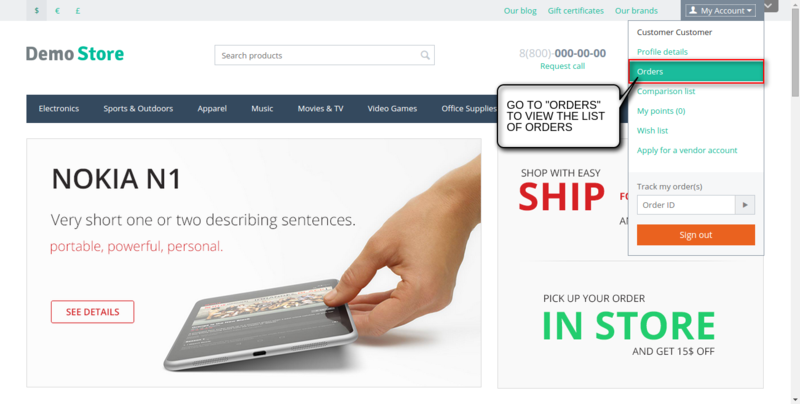 add products for which cancellation of order will be restricted. select the status of order for which admin does not want to show cancel button option for customers. 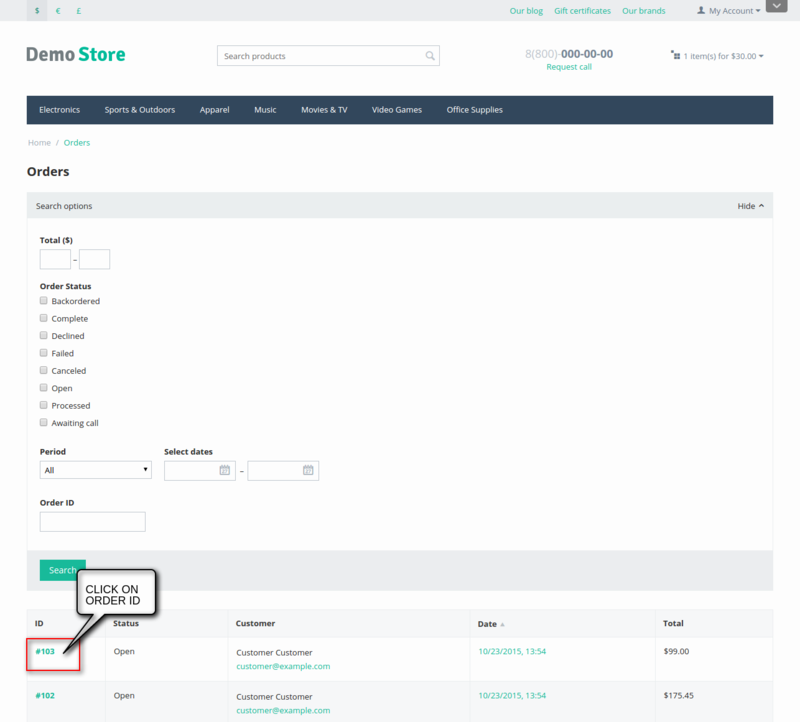 Click on “Order” to view the list of orders as shown in snapshot. 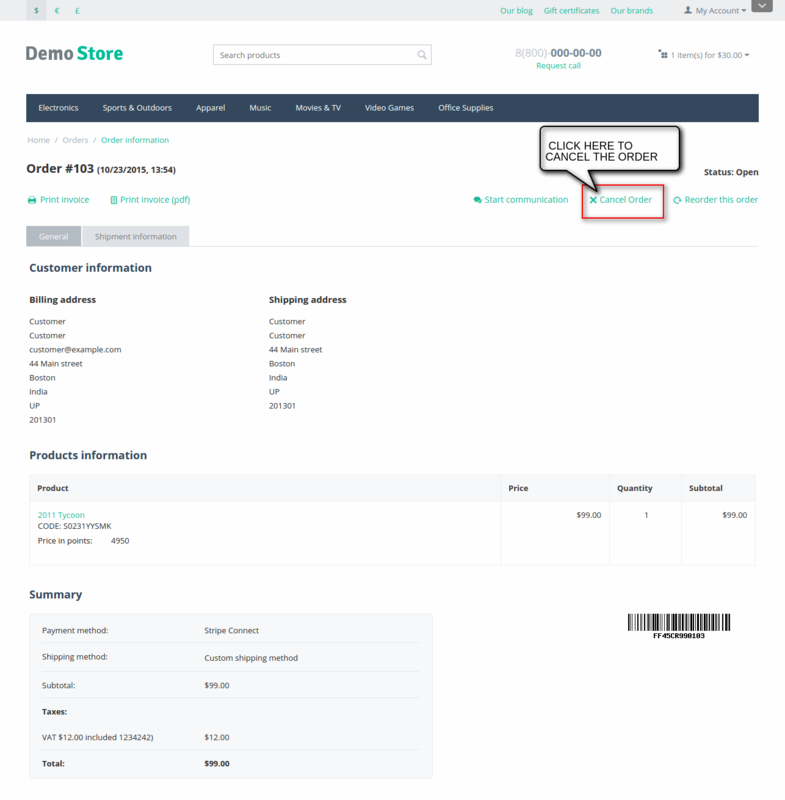 Click on “Order ID” to view the “Cancel Order” option. Click on “Cancel Order” for cancellation of order as shown below in snapshot. Once order is cancelled, the status of the order will be displayed as “Cancelled”. 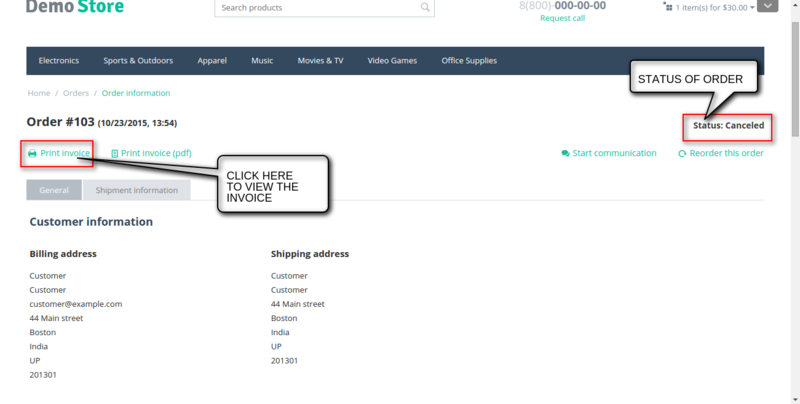 To view the invoice click on “Print invoice” as shown below in snapshot. 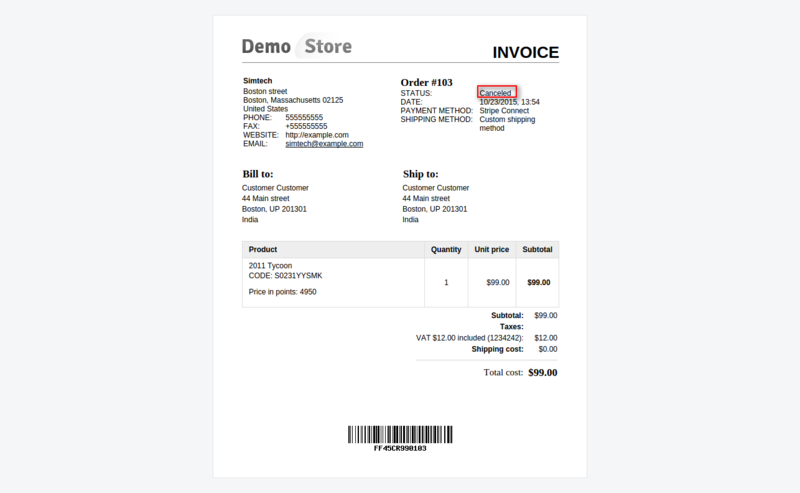 The view of invoice where status of order is displayed as “cancelled”. I’m interesting in this addon. But I would like to know that how this addon handle the refund in case of customer paid but goods is not shipping. Do you have any idea or susggestion?